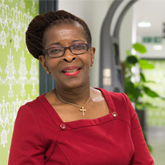 New records show how overseas staff have bolstered the National Health Service since its inception, says RCN President Cecilia Anim. The arrival of the old passenger ship, Empire Windrush, into Tilbury Dock on 22 June 1948 symbolised the beginning of mass migration into Britain. Young Caribbean men and women, responding to an advert in a Jamaican newspaper, The Daily Gleaner, which offered cheap passage across the North Atlantic, joined Britain’s post-war reconstruction by accepting jobs on the railways, in the postal service and in hospitals too. But even before the so-called 'Windrush Generation' set sail for Essex, Irish nurses had made Britain their home. Attracted by the offer of free nurse education and a training salary of £10 per week, ‘Irish Angels’ flocked to British towns and cities and played a crucial role in the formation of the NHS. By 1971, it was estimated that 12% of Britain’s nurses were Irish nationals. To meet the rapid growth of the NHS in the 1950s and 1960s, recruitment campaigns were launched across 16 British colonies and former colonies. Between 1948 and 1973, as many as 100,000 nurses arrived from Africa, South East Asia and the West Indies to work in ‘Cinderella’ specialities such as sexual and mental health. Years later, these new recruits would earn a reputation for their robust work ethic, but for many young nurses who were dispersed to hospitals across the UK, it was a rude awakening. When I began my nurse training at Hull Royal Infirmary in 1974, I remember feeling overwhelmed by my new surroundings. I was the only African among the entire student cohort and had to adjust very quickly. The NHS workforce has become even more diverse. In 2002, for the first time ever, there were more overseas additions to the NMC register than from the UK. The Philippines, India and Australia were the main source of nurses, and thousands more joined from South Africa, New Zealand, Pakistan, Spain and Portugal. Nursing staff from overseas have bolstered our health service since its inception, and more recently, their enormous contribution has been felt in the independent sector. Every time Britain has experienced a nursing shortage; every time we have failed to train, recruit and retain our own nurses; Britain has sought the skills and expertise of foreign trained health professionals. It is a contribution that is as vital now as it was 60 years ago. The RCN records of more than 1.5 million nurses from 1898-1968 have been digitised for the very first time by specialist family history website Ancestry. Search these records and learn more about the contribution to our health care services by men and women from Ireland, the Caribbean and beyond.